Paul Lezica | Never in one place. One change I made to the CRX recently is cutting a hole in the hood and slapping on a scoop from an old 300zx. Why? I noticed that in warmer temperatures, the engagement point in my hydraulic clutch system magically moves if the engine bay is running hot. 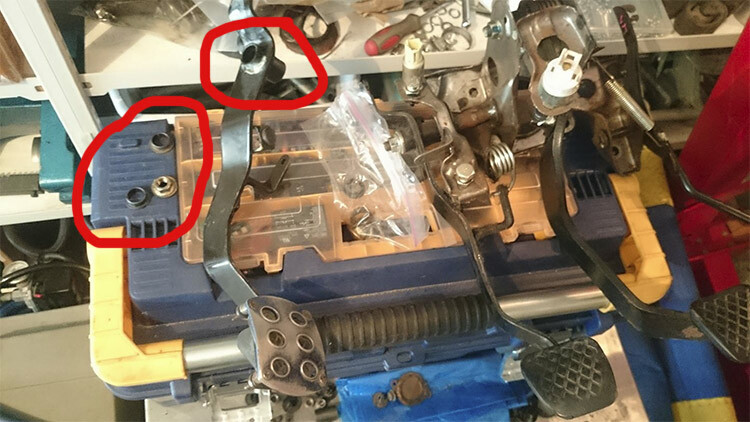 I’m not quite sure why it happens, though perhaps something to do with the master cylinder being mounted to the transmission and close to the engine where it might get more heat than on a normal setup. Basically I just throw air in the general vicinity of the hydraulic system and somehow this helps. We’ve still got decent weather out in BC so I’m taking every opportunity to cruise the highways before the snow hits. Today included some back roads around Princeton and Merritt, including Highway 8 which is a favorite of mine for a fun winding road. There’s a few more trips I want to get to before the winter but the status of some of the higher elevation passes may limit where I go. B18C1 bottom end with B16A head, Eagle crank, Mahle pistons, Crower rods. After not having any luck sourcing a motor local to me, this fresh rebuild popped up nearby so I impulse bought it. 2001 Integra LS hydraulic transmission, Hasport CMA conversion kit, Exedy OEM clutch, ACT 12lb flywheel. I had the transmission sitting in my shop for a number of years as I bought it for my original B swap plans. Wanted to run with longer gears as most of my driving is on the highway. Axles and half-shaft to match this generation of transmission. Hasport motor mounts and shift linkage for B series motor with hydraulic transmission. Had the linkage sitting around for years but ended up buying the mounts new as I didn’t want to run the old no-name type mounts I already had. P28 OBD1 ECU with custom basemap from Xenocron. I had the OBD1 conversion harness from around 5 years ago, no idea what brand (if any) it is. Instructions were clear enough though. B16A intake manifold, some junk eBay exhaust manifold, distributor from a 99 Civic SiR along with the instrument cluster as the CRX one wouldn’t work with an electronic VSS. 90-93 Integra radiator which people claim “drops right in” which I suppose is true when you hack things apart… The stock fan also doesn’t fit with my hydro kit so I ghetto rigged the thinner AC fan as the sole radiator fan. Injectors and fuel rail came from the original GSR motor I was piecing together, so I deleted the CRX’s factory resistor box. 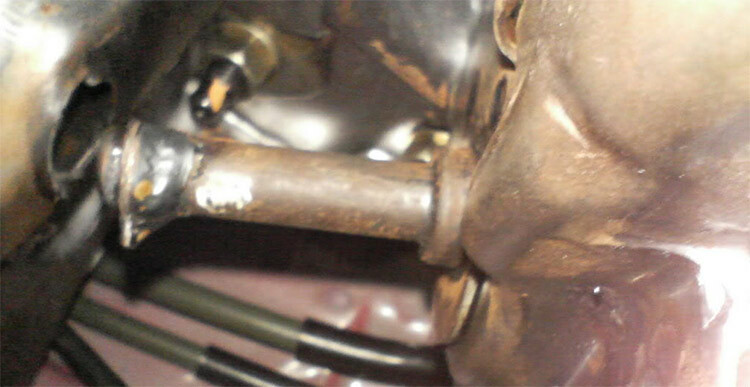 Throttle cable I believe might be the original CRX one and I rigged a mounting bracket to fit the intake manifold. Throttle body ended up being from a newer B18B1 in order to get rid of FITV, and my original one had a defective TPS. Some custom work was needed for the actual swap process. I was using a del sol alternator belt on a B18A1 crank pulley but still had to hammer out inside the engine bay to help with clearance. Also had to go nuts with the angle grinder to make more room for the rear T-mount and the exhaust manifold. Also had to relocate the battery as the hydraulic conversion kit is in the way. So far everything is working decently, though I more than likely will be ditching the eBay exhaust for something that fits properly. You can check out the photos I took during this swap. Some time ago I picked up a B40 A118 Novatek dashcam on eBay for something like $50-60 but never got around to installing it in any of my vehicles. Having been using my CRX as a daily driver during this last winter season, I’ve found that numerous drivers in my city are deeply stupid and try to drive into me. I decided to install the dashcam in the CRX for my own protection and to see if I can pick up some bad driving on camera. The video below is some sample clips I put together to demo the camera quality. 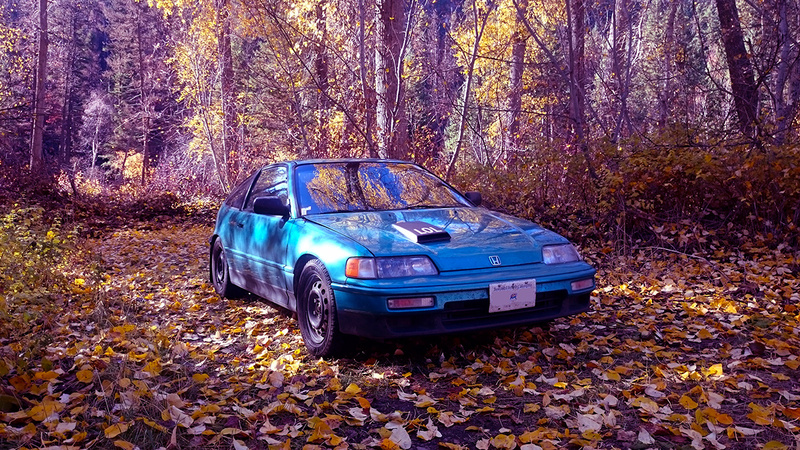 After getting most of my critical work complete on the new CRX, I headed into the BC Kootenays for a day cruise. Here’s a video with a few clips from that drive. Finally managed to track down the issue where I would get occasional hesitation/stuttering under 3k RPMs when the car had warmed up. This issue affected the car both when doing average acceleration from a stop and also when cruising say in 3rd or 4th gear. Solution? Swapped the ignition control module in my distributor with a spare. I didn’t initially suspect the distributor components since it had low miles and looks brand new on the inside. It was one of the components moved from my old CRX, and if memory serves I may have had this issue on the old car. I’ve also discovered that the stock motor likely burns oil at high RPMs when I checking the oil level after a few days of hard driving. The body also has surface rust in a few places, and I’ve found poorly attempted rust repair jobs in a few other places. Considering the overall condition of the car, I’m not going to bother dealing with that too much. I’ll probably end up completing my B18C swap at some point and drive it for a few years until I find a better condition shell or move to another chassis. 2014 didn’t end up being a great year for hitting the highways. My daily driver Cadillac needed an overhaul of the rear brake system which also brought to light an issue with the axles being worn by bad bearings. Finding the parts turned out to be near impossible but the local shop handling this work managed to locate a compatible match from a Caprice, though the car loses traction control and ABS due to a special ring missing from the new axles. By the time all the work had been completed, I only had enough time to hit a few local highways before parking it for the winter. I also found that the driving experience wasn’t nearly as fun compared to my old Honda CRX. To help kick-start 2015, I picked up some new equipment including another Honda CRX highway cruiser. Upgraded my primary video camera to a Canon XH-A1 and picked up a GoPro Hero4 Black. 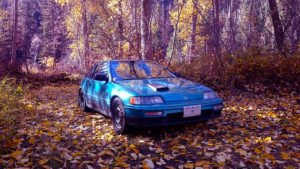 Deciding that I would never get around to fixing my 89 Honda CRX, I located a 91 in a nearby city and will be moving my parts over to it.